Six Days Left, Six Reasons Why. 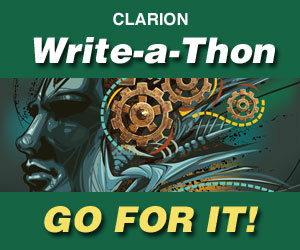 There are only six days left to sign up for the Clarion Write-a-Thon! With the deadline so near and the Clarion Foundation only halfway to its goal of 75 writers, it’s time to pull out all the stops. Please contact other spec fic writers you know to spread the word via Twitter, Facebook, email, or…… Continue reading Six Days Left, Six Reasons Why.